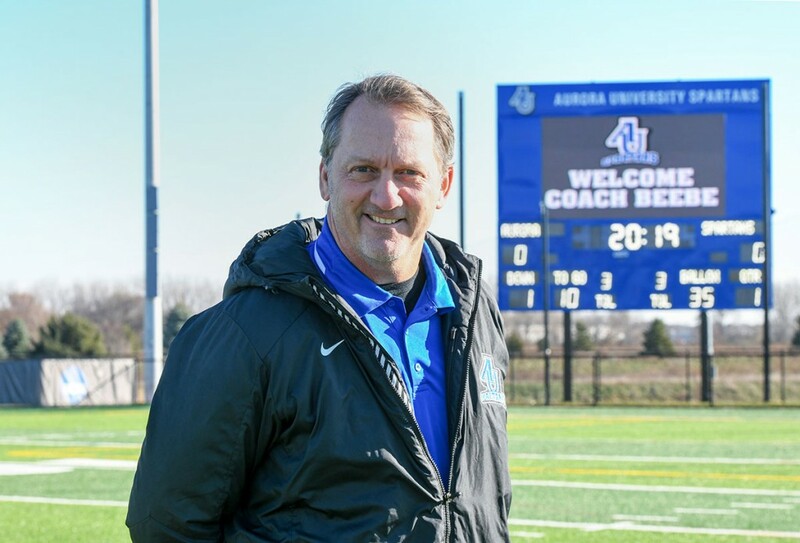 AURORA, Ill. – Nov. 15, 2018 – Aurora University is pleased to announce National Football League (NFL) legend Don Beebe as the Spartans football new head coach, effective immediately. Beebe, highly regarded by coaches, players and fans for his strong character, robust work ethic and perseverance, embodies Aurora University Athletics’ core values of academic success, social responsibility and athletic championships. A wide receiver in the NFL for nine years — including six Super Bowl appearances and one championship – Beebe is widely known for his “never-say-die” grit displayed in Super Bowl XXVII when he denied Leon Lett an easy touchdown.